Ben and I returned to Angel Cake House for lunch when we were around the neighbourhood. I was hoping I can try one of their dessert after lunch. We ordered one of the Combo Noodle to try. 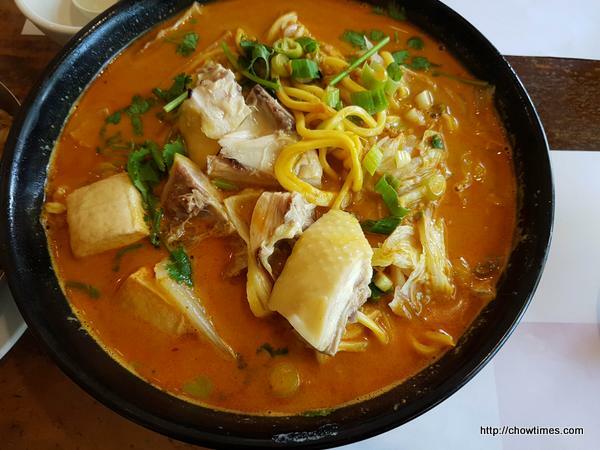 We had laksa broth with Hainanese Chicken and Fish Puff. There were a lot of oil noodle; our selection of the noodle. The Hainanese Chicken were bone in and they were not very meaty. The Fish Puff turned out to be Fish Tofu instead. We preferred the flavour of the laksa broth from Bubble Waffle House. We also like the boneless Hainanese Chicken from Bubble Waffle House. 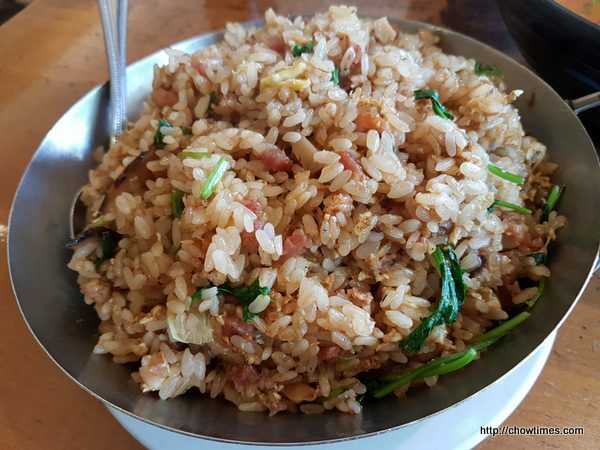 We also ordered a Fried Sticky Rice to share. We always play safe when only the two of us are eating out. We will order one dish that can be packed home as we know we will not be able to finish two full servings. 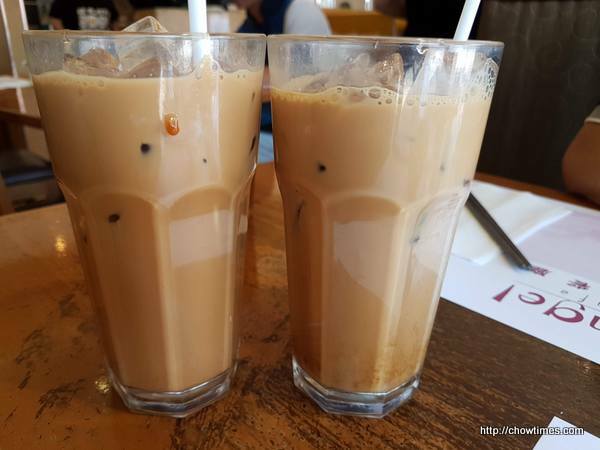 The meal came with a free drink, we had one ice-coffee and one ice-milk-tea. Once again, we do not have room for dessert as we had almost a full serving of the Fried Sticky Rice to bring home. Our meal came to CAD25 including tax and tips. Angel Cake House accepts cash only.